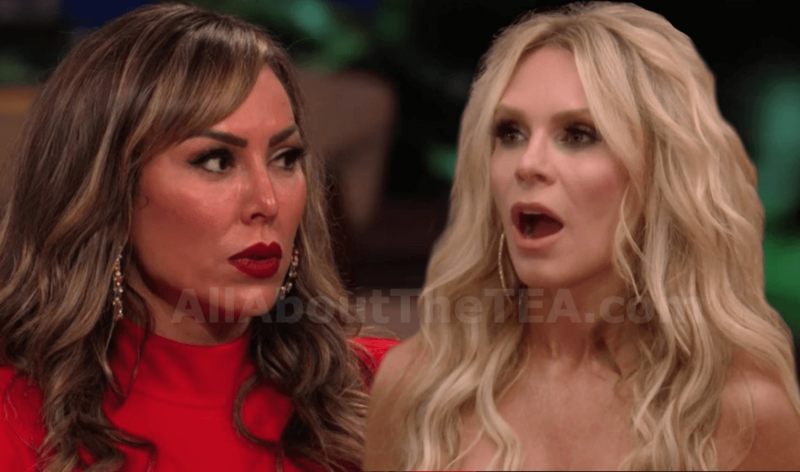 Kelly Dodd's Drunken Bar Brawl Triggered Fight With Tamra Judge! The Real Housewives of Orange County is filming Season 14 — and AllAboutTheTea.com has learned that an offseason scandal is splintering the cast, and putting Kelly Dodd in the hot-seat. According to a production insider — Tamra Judge and Kelly Dodd got into a vicious fight last week during filming — the dispute stemming from a bar brawl between Kelly and an unidentified woman. “Kelly got into a bar fight with a woman at the end of February in San Diego.” A ROCK solid source told AllAboutTheTEA.com. Fans know that Tamra Judge has a reputation for spilling secret tea — but it looks like Kelly didn’t get the memo. “Kelly told Tamra about the incident, and begged her to keep it quiet and just between them,” the tipster told AllAboutTheTea.com. Our source explained that Tamra ignored Kelly’s wishes, and dished the dirt to her fellow Real Housewives of Orange County cast members. “Tamra even cosigned the allegation that Kelly threw her mother down a flight of stairs. Tamra claimed that she had ‘proof’ to back up the alleged abuse,” the insider added. Press play to watch leaked footage of the juicy gossip sesh below. Back in September 2018, AllAboutTheTEA.com exclusively reported that Kelly Dodd pushed her mother down a flight of stairs and routinely abused her mother while she lived with her. Kelly’s younger brother, Eric Meza, documented their mother speaking about the alleged abuse in a revealing video recording. Press play below to watch. Share your thoughts on Kelly Dodd’s drunken bar brawl and friendship fallout with Tamra Judge in the comments!